A rugged, go-anywhere pickup truck is a great tool for those who like to live it up in the great outdoors. 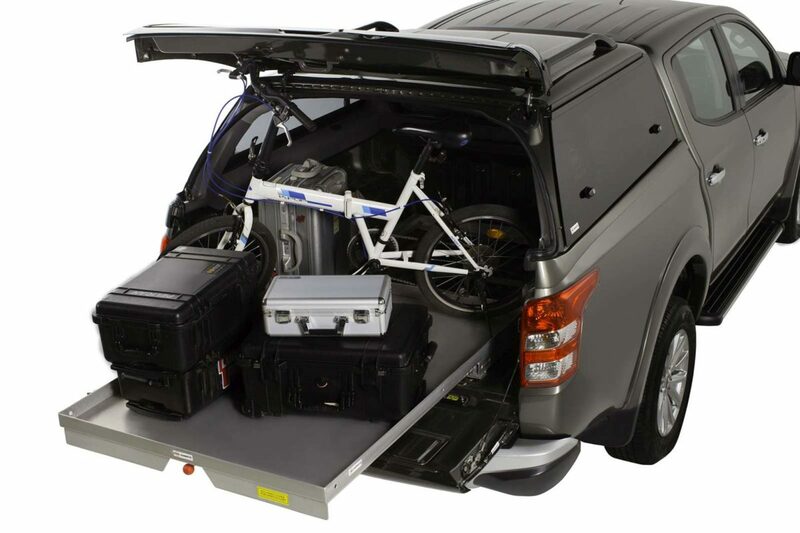 Unlike SUVs, a pickup has a cabin which can seat passengers, and the loading bay at the back is all yours to play with. You can carry whatever you like and treat it as a truck. 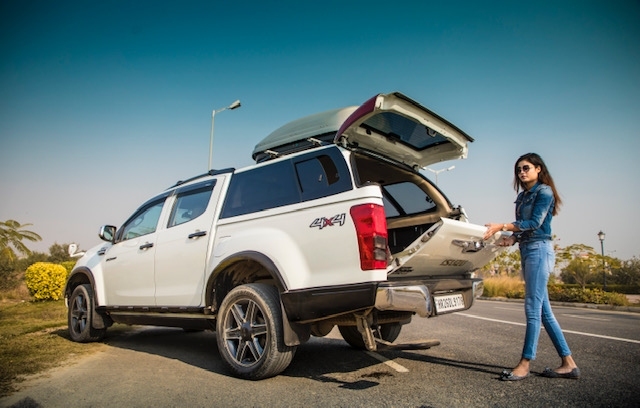 But if the thought of transforming that space ever crosses your mind, know that you can also get yourself a canopy which turns your functional pick up truck into an SUV. How do you do that? 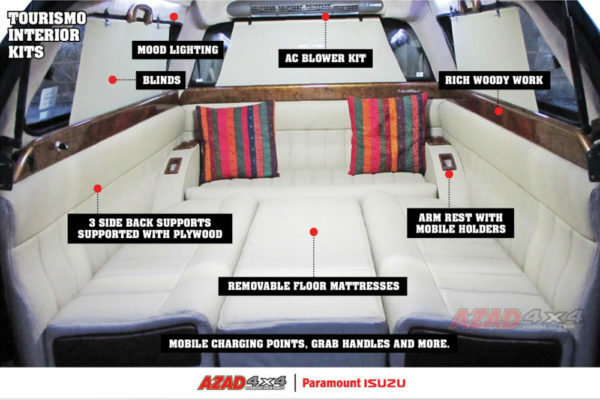 Azad 4×4 has come up with these canopy solutions, which are made of steel, unlike most other products which are made of ABS or fibre. How is steel superior? Well, for the kind of conditions a pick up is driven in, or even for the state of our roads, any modification made to the shell must be able to withstand the stress that gets transferred from the road conditions to the body shell. The other thing that it must also stand through is weather conditions. And there are very few alternatives to steel when it comes to withstanding these factors. The other thing about these steel canopies is that they aren’t designed just to cover the loading bay somehow. These are designed with keeping the aesthetics of the vehicle in mind, and as visible in these pictures, strike a great balance between form and function. Designed with safety, security and aesthetics in mind, these canopies feature a separate LED tail light cluster, a spoiler at the top, and a wash-wipe system with a demister on the rear windscreen to aid visibility. The other benefit of being made out of steel is that these canopies can take loads of up to 300 kgs when the vehicle is static. That way, you may either opt to affix a rooftop box or even a tent to compliment your adventurous lifestyle. Since the tailgate opens in a split fashion, you may also opt for a sliding tray to be fitted inside, which then becomes the perfect kitchen platform or a large picnic table if you like. You can even pick from three different variants, according to your needs. There’s one which gets a sliding window on its side glass for better ventilation. Another has the side glass area attached to hydraulic struts, so that you can open it fully, just like the tailgate. Want one which fits your commercial business needs? They have one like that too. 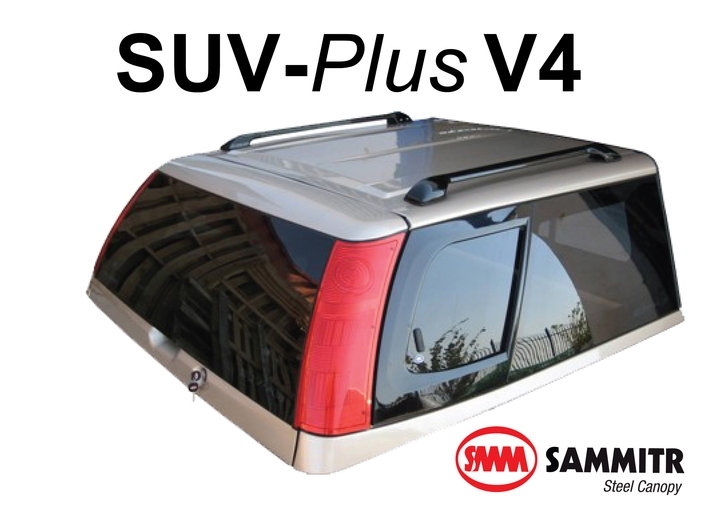 The top-of-the-range canopy is called the V4 Grand (Sliding Window). It fits flush as if a part of the standard bodywork and has a sliding window for ventilation in the side glass area. 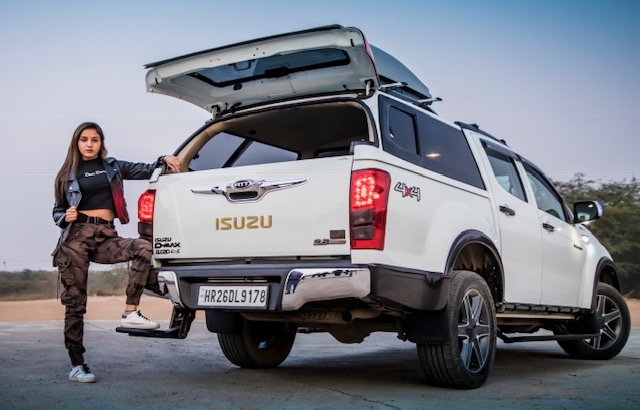 Its rear tailgate can be synced with the vehicle’s remote lock bolt itself at the same time, the windscreen at the back is made out of tempered glass and a hidden C-clamp system secures the canopy to the body. The other canopy is called the Bird Wing, which gets its name because of the side glass, which swivels up and is held together by hydraulic struts. All its other features are common to the V4 Grand. Another variant, called the V2 Birdwing, replaces the glass with opaque, body coloured panels. There’s one more called the V2 Solid Sider, which does away with the side glass completely. The one which we found the most interesting is called the Turismo. It transforms your pick up truck’s loading bay into some limo-like space, what with mattresses and mood lighting among other things. You can spec it to come with a tiny stove, a television and even a refrigerator! Painted at the factory, these SMM Steel Canopies come with a three-year warranty too. 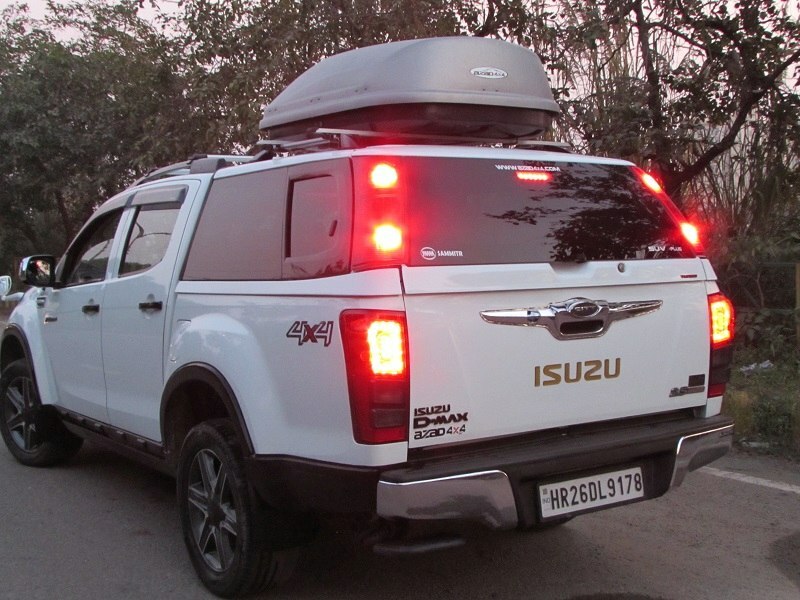 Azad 4X4 also has exclusive distribution rights for products manufactured by Thailand based Sammitr Group, who are a big name when it comes to pick up truck accessories and the only ones in the world who manufacture steel canopies for pickup trucks. Check out to the gallery below to know more about these canopies.